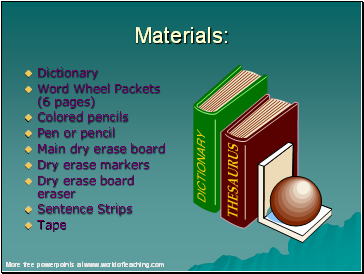 Reading and writing vocabulary through word study and word reference materials. -Teacher draws a big cowboy hat on the board. -On the top part of the hat teacher writes the word Cowboy. 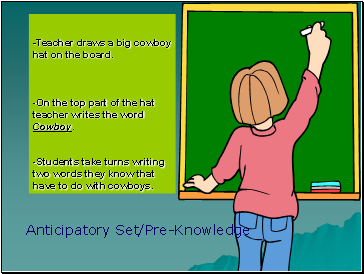 -Students take turns writing two words they know that have to do with cowboys. 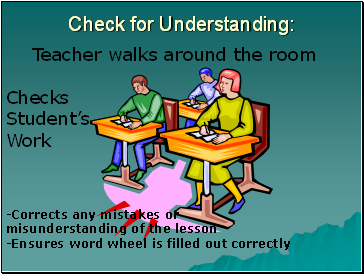 Teacher instructs students to; - Return to their seats. 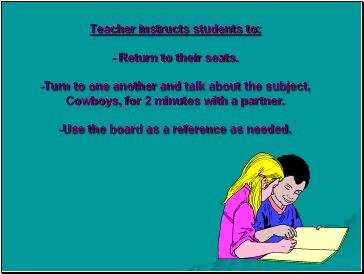 -Turn to one another and talk about the subject, Cowboys, for 2 minutes with a partner. -Use the board as a reference as needed. 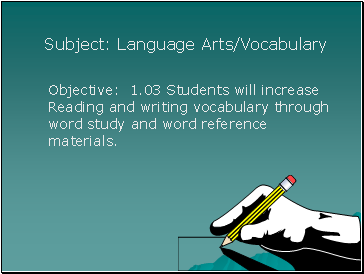 Teacher assigns student a vocabulary word. Student is to write on the strip. Student is instructed to stand up and read the word and tell what it means. 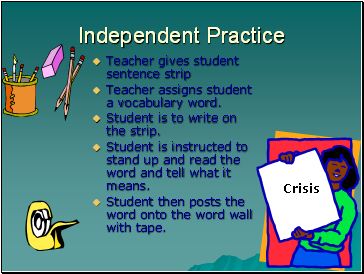 Student then posts the word onto the word wall with tape.